Formula E enlisted CSM Live to develop new solutions for trackside branding, and after 12-months of intensive research, a new strong, durable and sustainable alternative will be applied to the barriers lining each circuit – starting in the Italian capital for the GEOX Rome E-Prix and the first instalment of the voestalpine European races on April 13. The new adhesive film has been tailor-made and produced to meet the specific needs of the electric street racing series, in conjunction with specialist manufacturer and established supply chain partner HEXIS. The new trackside signage will replace any previously-used materials and significantly limit the environmental impact of the series and cutting back on 35-kilometers of potential PVC waste. With the same high-quality performance as its PVC predecessor, the innovative product is made of polypropylene, a material widely used across a number of industries due to its recyclable properties. 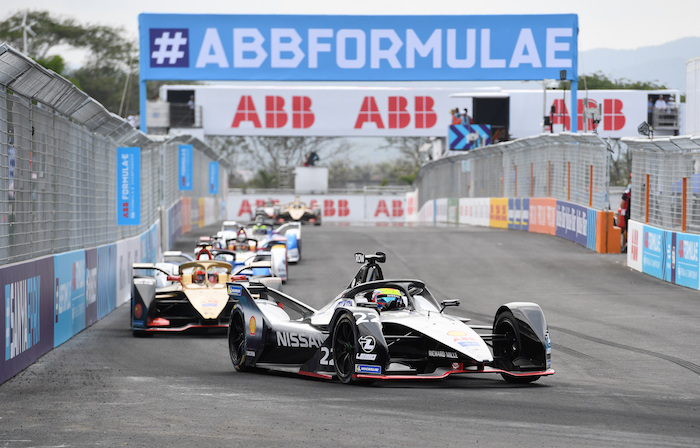 Both Formula E and CSM Live – part of CSM Sport & Entertainment – have a shared commitment to sustainable practice and working methods, with the ABB FIA Formula E Championship being recognised as the first category in motorsport to receive third-party ISO20121 certification.